IT'S MY BIRTHDAY, IT'S MY BIRTHDAY, IT'S MY BIRTHDAY! Hey. Did you hear? IT'S MY BIRTHDAY! 🎉🎉🎉🎉 Today I turn the magical age of 23 and as you can tell, I’m pretty excited about it. As a kid, I always imagined myself at twenty-something to be a sophisticated journalist, pushing 6ft and generally girl bossing it (blame watching 13 Going On 30 countless times for that wishful thinking) but it turns out I haven’t really changed much over the years. I’m still very much a child at heart who loves putting on pretty dresses, is fascinated by glitter and binge watches old cartoon reruns like it’s a sport. 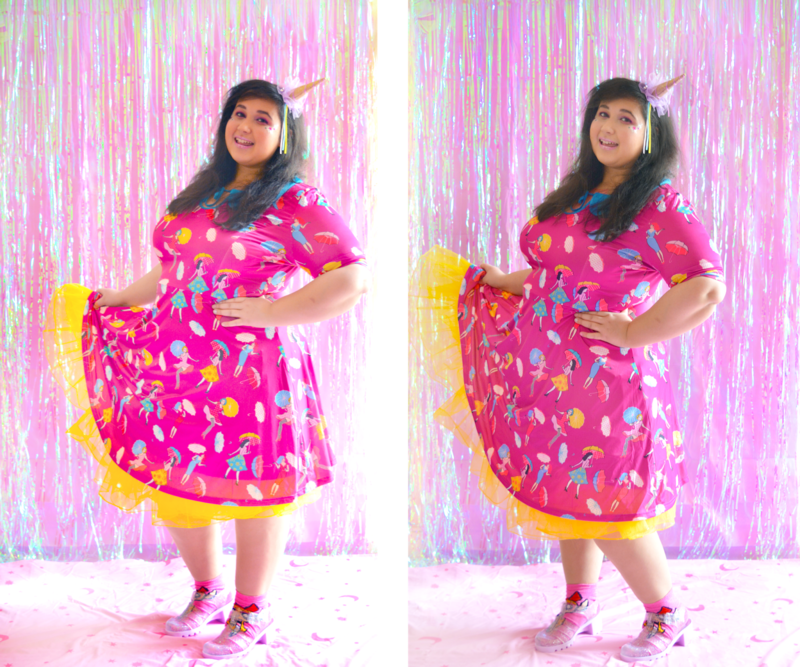 So today, after completing my annual ritual of dancing like a madman to Stevie Wonder, I decided to embrace my inner child (and the frizzy hair I’ve given up trying to tame) and do a super fun fashion shoot! 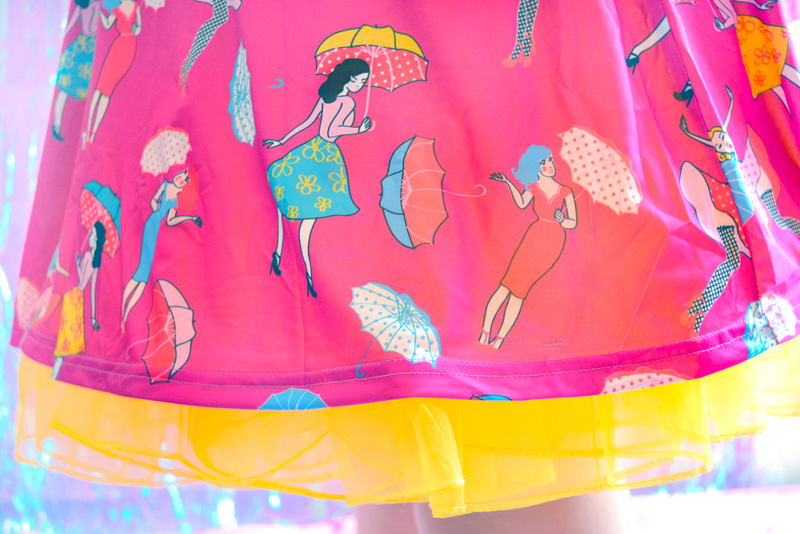 This fantasmical weather girls dress from Lindy Bop was the inspiration for the whole look. Here, I’ve layered it over a bright yellow tutu for some added oomph. Naturally, my footwear of choice was a pair of sparkly jelly sandals, with a lilac heel and pink, glittery Powerpuff Girl socks. 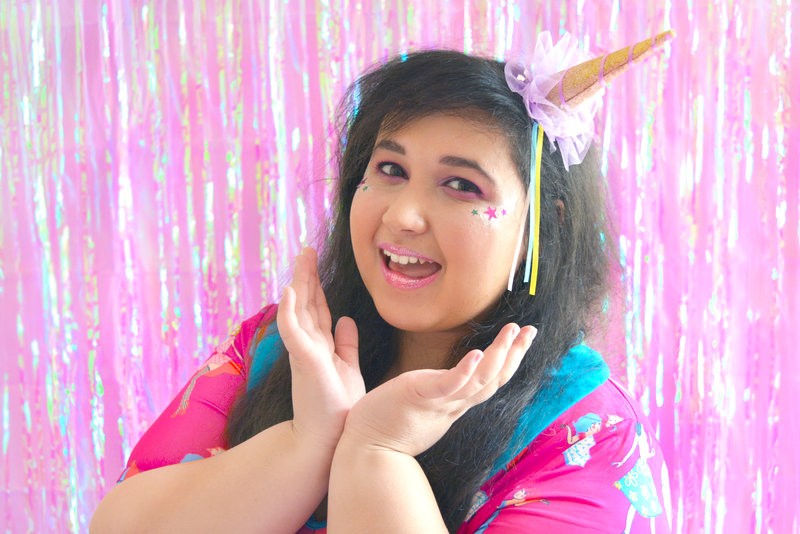 To complete the “look” (haha I can’t even take myself seriously, referring to this as an actual look) I sported the best unicorn party hat you ever did see. 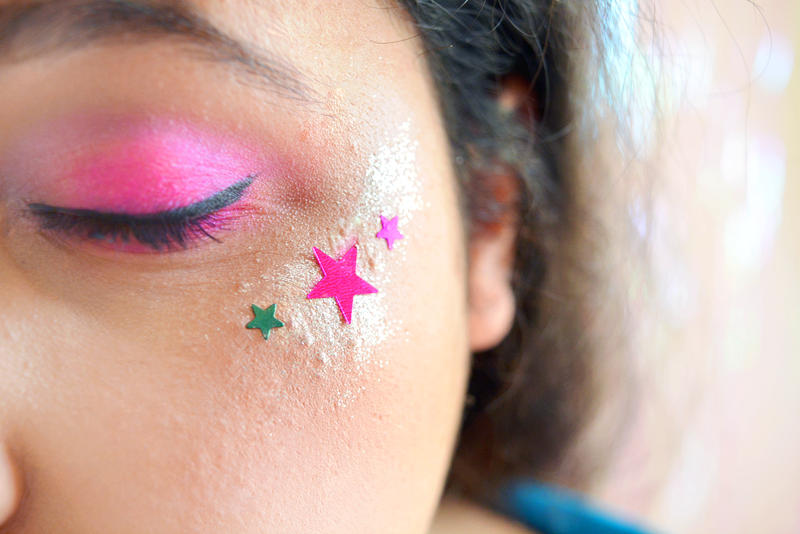 Oh and some confetti stars because if you can’t wear confetti as highlighter on your birthday, when can you? Happy Birthday to all my fellow March babies! Thanks Emma! I'm obsessed with the socks haha. They came in a three pack. Rocking the Bubbles ones today. Happy Birthday! *:･ﾟ✧*:･ﾟ✧ Such a cute and fun look. And the cake looks super pretty, too!! Thank you lovely! The cake is too pretty, I almost didn't want to eat it but it's filled with candy inside. So fun! Happy Birthday!!! Your outfit is so super cute and colourful! 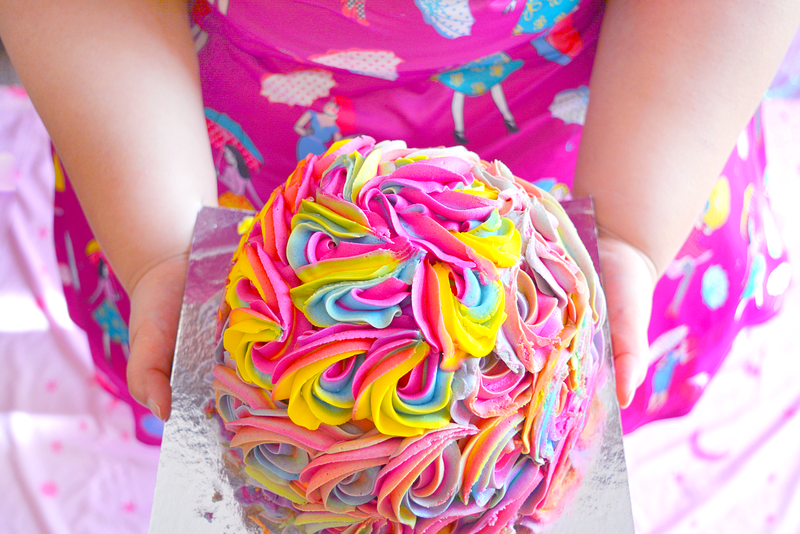 + omg that cake looks amazing! I love your little unicorn hat, at first I thought it was an upside down ice cream cone lol, but it's adorable either way! Have a lovely day!! Thank you Rosario! I can totally see the upside down ice cream thing. Channeling my inner Melanie Martinez haha. Aw thanks! I'm in such a 90s nostalgic mood lately, been loving all things Powerpuff Girls. From one unicorn to another, Happy Birthday!! Hope you had an amazing birthday! This outfit is so damn cute and colourful, I love it! I also watched 13 Going On 30 way to many times and I had similar expectations from life. You look so cute! Ah, I need that unicorn hat as well. 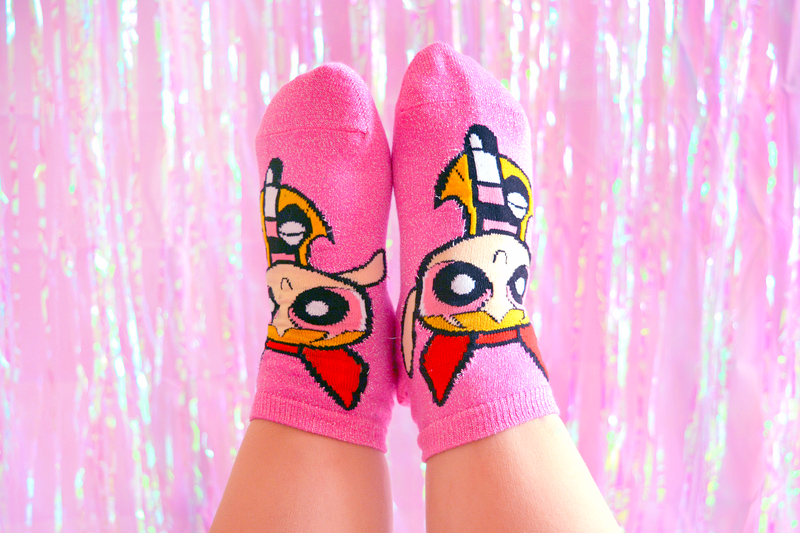 I'm loving the Powerpuff Girls accessories in Primark. I bought the most adorable make-up bag from their which even complete with a pink and black pom pom. Ahh I literally saw that the other day and was so tempted to buy it! I think I'll have to go back for it. It's just so cute.